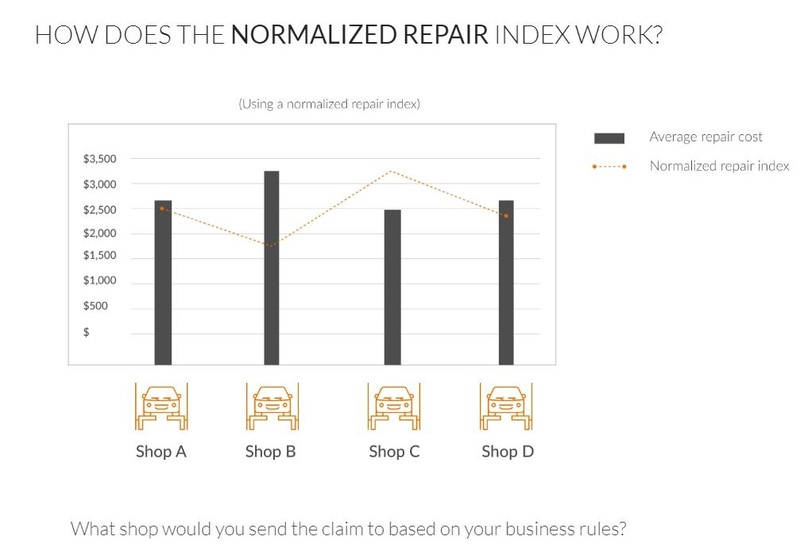 Audatex late last month announced it had made its AudaTarget predictive analytics software available to U.S. insurers, allowing carriers to direct specific vehicles to a DRP shop most likely to fix them near an estimated index price for that car. Audatex North America regional managing director Ramon Suarez recalled being asked by an insurer’s CEO how the company compared to other carriers. The claims manager, who was also present, argued that such a comparison couldn’t be made given differences in insurer brands and mix of insured vehicles. “This eliminates all that discussion,” Suarez said in an interview Wednesday. By using a neural network to learn from two years of data generated by a DRP, the software can determine “who does best at what,” Suarez said. (Audatex might have to go back further than two years to train the artificial intelligence if a client is a smaller carrier seeing fewer annual claims, Suarez said.) 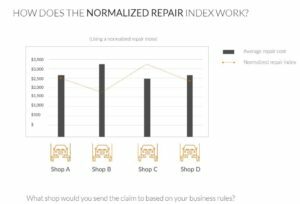 It generates a “normalized score” and shows how the shop stacks up against peers in a particular repair scenario. For example, one shop in the network might have developed best practices around Fords, while another “might be very bad at Ford,” Suarez said. Audatex’s news release suggested that a company less familiar with a particular vehicle might wind up producing a costlier repair. AudaTarget’s index values aren’t just model-specific, they’re even options- and damage-specific, Suarez said. He said the system examines the technical attributes of the repair, such as how many parts are likely to be replaced and the overall severity. It also can be used to immediately approve supplements which fall around a benchmark, freeing up adjusters to focus on claims that “really need their attention,” Suarez said. Suarez recalled being asked by an insurance CEO how his company compared to other carriers. The claims manager, who was also present, argued that such a comparison couldn’t be made given differences in insurer brands and mix of insured vehicles. “This eliminates all that discussion,” Suarez said. Adjusters themselves can be classified using the software, allowing the carrier to route claims to various assessors based upon factors like model, region and severity, Suarez said. He said yet another use case would be an multi-shop operation evaluating which location in that region is best at handling a particular brand. We noted that a DRP shop which comes in far below the cost benchmark might be missing many aspects of a proper repair. They might look attractive to a carrier and under the AudaTarget parameters, but the facility would actually be a terrible choice. Suarez said Audatex performs its own calibration and can do a further calibration with the insurer client to avoid such situations. “We disqualify the outliers,” he said. If Audatex saw that kind of an anomaly, it’d know something was wrong and send the shop to a reviewer, he said. It’s a technical analysis that shops and carriers can use to find their strengths and what can improve, he said. The technology could benefit those DRP shops finding themselves unfairly judged by an overly broad severity metric rather than one tied to their market’s specific vehicle mix. We asked Suarez about situations where the past data fed into the system reflected an improper repair; for example, shops neglecting to scan vehicles requiring it prior to OEMs’ wake-up calls in 2016. Suarez said AudaTarget is a “referential model” which would be influenced by the absence of those operations. However, Suarez called AudaTarget a “fair way of doing it,” for Audatex didn’t believe every shop was bad or good. 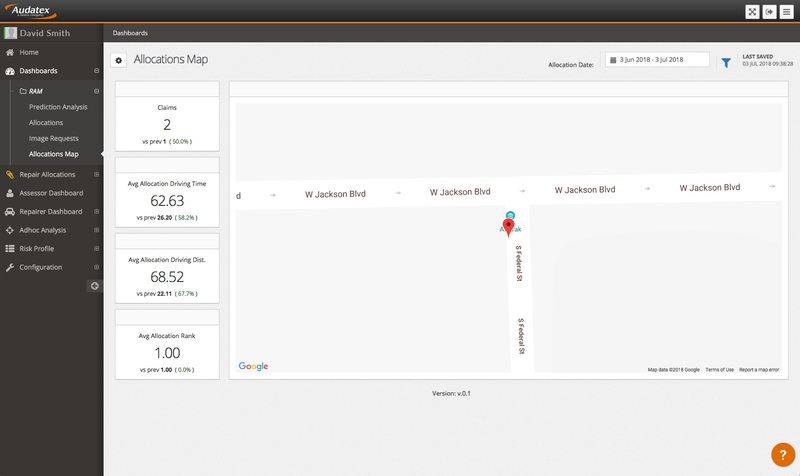 The software provides a recommendation based upon the “practice of the market,” he said. Asked about potentially throwing out data from shops not certified by an OEM — and therefore not confirmed as qualified to fix those vehicles, Suarez said, “We’re not doing that right now. 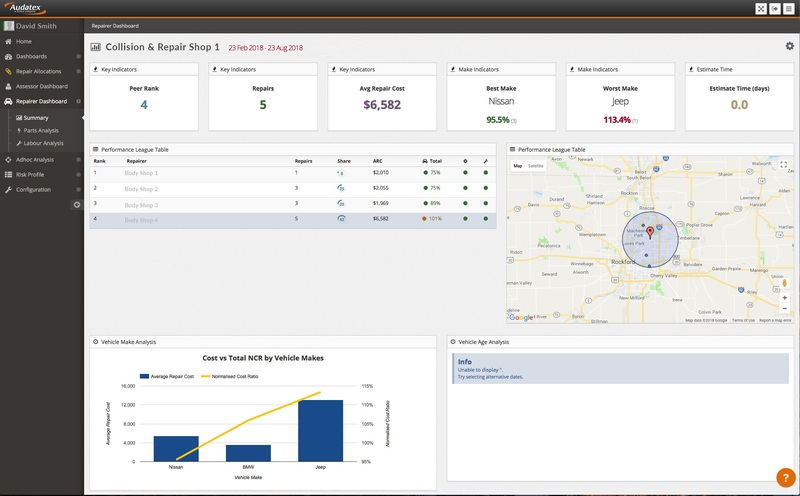 It’s an evolution of it.” He said it also would depend on the AudaTarget client’s wishes. Suarez said a shop couldn’t compare its individual performance to the normalized index unless the carrier agrees to share that information, though he said he felt and Solera has taken the approach that it’s better to be open with data. He said some people are uncomfortable, but “it makes everybody better” to know how they stood. AudaTarget only uses data from the client’s specific network to set the benchmarks and guide the user in that decision, according to Suarez. It doesn’t apply aggregate data from the rest of the industry in making those calculations, Suarez said. He said in some countries, Audatex will use broader aggregated data as well, but in North America, it had enough data points within a carrier’s network for the software to be viable. He said Audatex could certainly build national and even global models — the company was analyzing this, he said — arguing that OEM global platforms would mean repairers in different countries would be fixing a vehicle the same way. 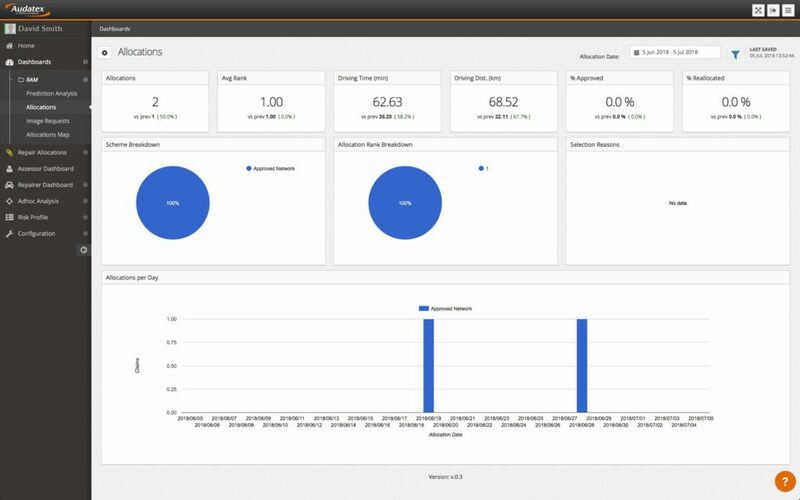 Though the “accuracy is not as good,” AudaTarget can even perform predictive analytics on data clients bring from other estimating services, he said.